There are quite a few people who would argue that recent Call of Duty games have moved too far away from the original format and, as a consequence, gameplay has suffered. While this is not a perception held by everyone, there is certainly some basis for this theory, which is why so many people are pumped up about CoD WW2. 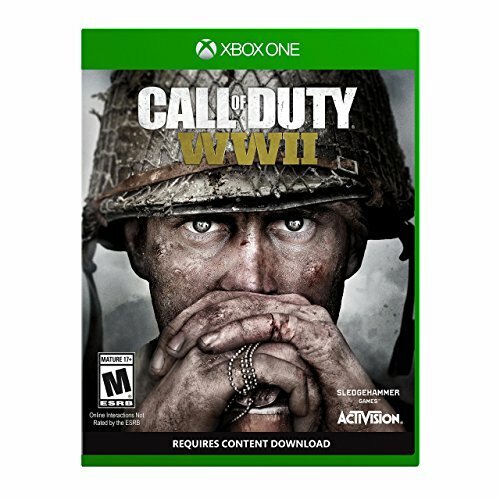 CoD WW2 brings the game back to its roots and is even set in what many people consider to be the proper time period for CoD,- back where it all started in World War 2. The good news is that the game has evolved over the generations, but Sledgehammer Games have decided to introduce and bring up to date certain features that have evolved since the original CoD game. World at War did have some killstreaks, but the difference between then and now is night and day. At the time of writing this, there are a total of 12 different killstreaks, and there should be new ones added in the future. In our opinion they bring an entirely new dimension, more excitement and plenty of challenge to the game. Although most people reading this article are probably CoD experts, it is important to explain what exactly a killstreak is. According to Wikipedia, a killstreak is earned when a player acquires a certain number of kills in a row without dying. However, just to confuse matters a little, killstreaks have now been replaced by scorestreaks. These present a slightly different challenge, and many people feel that it is a better and certainly a fairer representation of your skills and efforts within the multiplayer game. With scorestreaks players earn rewards for earning a certain amount of score in a single life. This means that there are many more ways to earn points and forces a player to become more involved within the game, rather than just hiding around a corner to kill unsuspecting players. Points can be earned by kills, captures, assists and completing objectives. The lowest level to achieve a reward is 400 points, which for most people shouldn’t prove too much of a challenge. Upon hitting this target, you are rewarded with a recon aircraft. This then gives you the advantage of being able to reveal enemies on the mini-map and, used properly, can then help you to gain further points and complete other scorestreaks. Having earned your recon aircraft at 400 points, you’ll quickly realize how beneficial a recon aircraft can be. Then when you hit 425 points you will be rewarded with a fighter which can destroy or block an enemy recon aircraft. It’s so cool when these features unlock. It is these little developments in available tactical strategies that really make the CoD series of games extra special. In every battle you want to have maximum tactical options, so upon hitting your 500 point streak, you gain a portable backpack flamethrower. This piece of equipment is AMAZING and deadly in close combat, and also looks pretty darn great when you let it rip! When you achieve a scorestreak of 525 points, your reward is to fly a strafing run in a fighter aircraft. Strafing is a tactic used to target ground targets using low flying aircraft, fitted with automatic weapons. Although perhaps not as exciting as some of the other rewards, this next prize could be the difference between success and failure. When you get a 550 point streak you have a care package delivered via parachute. Unfortunately, you have no control over the contents of the care package, it contains a random scorestreak but, man oh man, it’s beautiful when it is exactly what you need. The 650 point prize presents you with the opportunity to control a glide bomb that explodes on impact. With precision and control, you have the opportunity to cause extreme damage to your opponents. As the killstreaks get more difficult to obtain, the rewards also increase. This is the halfway point regarding both difficulty and reward, but as with all scorestreaks, there is an element of satisfaction in achieving your goal. With the vast majority of rewards most of the options are about targeting one specific opponent or area, but with this killstreak, you gain a precision strike upon three targeted locations. Just remember to use this bonus wisely as it can have a devastating effect if utilized to its maximum potential. For those who remember the shock and awe tactics where a specific location is bombarded with artillery fire, then this is the reward you may well enjoy the most. Once you qualify for this bonus, you can launch an artillery barrage on a designated location of your choice. For people who enjoy the tactical side of these type of game, or just like to play a little dirty, this reward is great fun. It gives you the opportunity to destroy all enemy aerial scorestreaks and even gives you the ability to block enemies from using new ones. This is one reward that is worth its weight in gold. Sometimes it is important to remember that we can’t fight all of the battles alone and we need some help and support. Just like in a real-life war situation this reward provides the gamer with the ability to call in paratrooper reinforcements when you need some help or assistance. This one could literally be a gamechanger. A huge milestone, and a huge prize to go with it. This provides you with the ability to launch an ariel obliteration bombing and includes multiple passes over enemy territory. Great fun and huge devastation virtually guaranteed. The final scorestreak reward comes at the 1400 point level. Upon achieving this goal, your final reward is to occupy a B-17G (that’s right – THE Boeing Flying Fortress) and enjoy the pleasure of decimating enemies with its ball turret. It is BEAUTIFUL chewing through those chumps with massive lead! You really can’t beat the concept of scores streaks, because they add a very tense element to the game. And trust me, the stakes are high! You don’t want to be facing a long stream of enemies who have unlocked these rewards, without you having access to them also. It gives you something to constantly work toward. All of the above rewards will take time to earn, but they are all worth it in the end, and hopefully, it will enhance your game playing experience as you work your way through the levels.